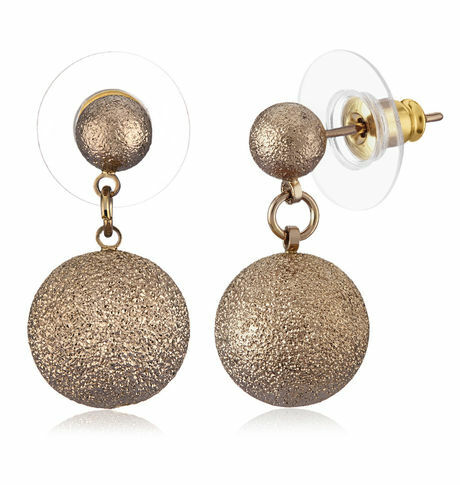 Chic and trendy, these dazzling ball earrings add a subtle touch to your style. Add a stylish flair to anything you wear with the chrome colored ball danglers. This can also be a conversation starter. Chic and trendy, these dazzling ball earrings add a subtle touch to your style. Add a stylish flair to anything you wear with the chrome colored ball danglers. This can also be a conversation starter.Cancellation and Return Policy: • Exchange allowed post booking • No order cancellation or Refund transaction allowed at the store.